Having supplied my gut reaction to Sonic Generations on Tuesday, I'm still plowing through the game, on course for a review next week. So there'll be a large portion of that on my weekend menu, alongside BurgerTime World Tour, aka the game that HezaChan's boyfriend made. 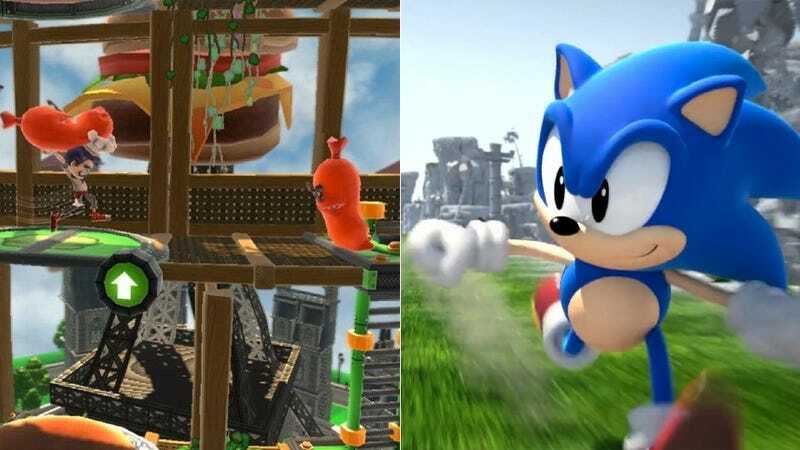 Should You Buy Sonic: Generations? Yes. BurgerTime is a lot of fun, but a little strange to me. Peter Pepper can jump (though don't try to jump the pickle) which is about as profound as giving Nathan "Radd" Spencer a jump in Bionic Commando: Rearmed 2. Has any video game character gone longer between appearances than Peter Pepper? None leap to mind. What's next, Zookeeper World Tour? Pengo World Tour? So it's a platforming weekend for me. What about you? Let us know what you're playing this weekend.